Are you planning to visit the Paris? Do you want to see some amazing places in Paris? Hold on today I’ll tell you about 35 amazing places to visit in Paris. Paris is the Capital City of France. The area is 105.4 square KM. It is the highest population city in France with 2,229,650 Population. It is the third most visited city in the World. Time zone of Paris is UTC+1, Set your clock before going there. There will be great fun if you like romantic walks in Green Gardens or in Colorful Streets. Check out the Top 20 Attractions of Dubai. In Paris, there are many historical places as well as the greatest architectural treasures which are worth visiting. You will enjoy these 35 amazing places to visit in Paris which I’m gonna tell you. Sainte – Chapelle is a Gothic architecture jewel with beautiful stained glass windows and is considered one of the fascinating architectural works of the Western world. The Sainte Chapel was built by Louis IX in 1248. During the French Revolution, the chapel served as a warehouse for flour and suffered serious damage. 100 years later it was renovated by the architect Eugène Viollet-le-Duc and today it is a place of classical music concerts. Considered to be the most visited art museum in the world, one must not forget the Louvre Museum as a destination to be in Paris. It serves as the home of many artworks of the pre-20th-century era. The place has a lot of history in itself so visiting it would also mean traveling back in time. 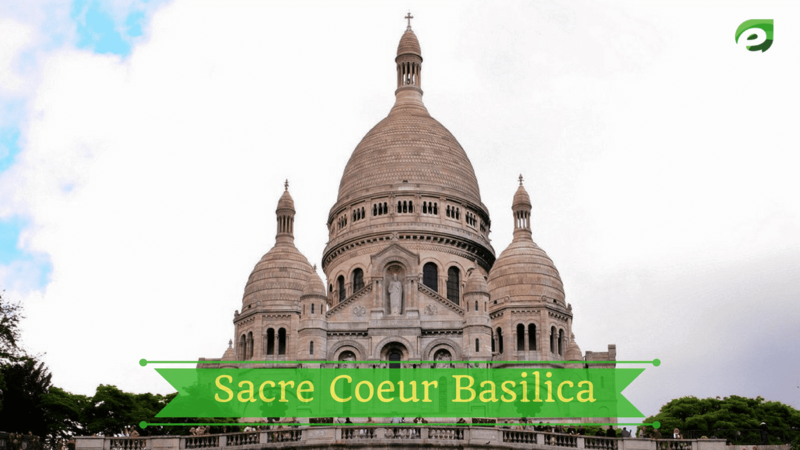 If you want a little more adventure while you are in Paris, you should definitely visit the Sacré-Cœur, which is a basilica that is located at the highest point of the city of Paris. While you are at it, consider walking through the village-like streets of Montmartre. Do you want your experience in Paris to be extra special? 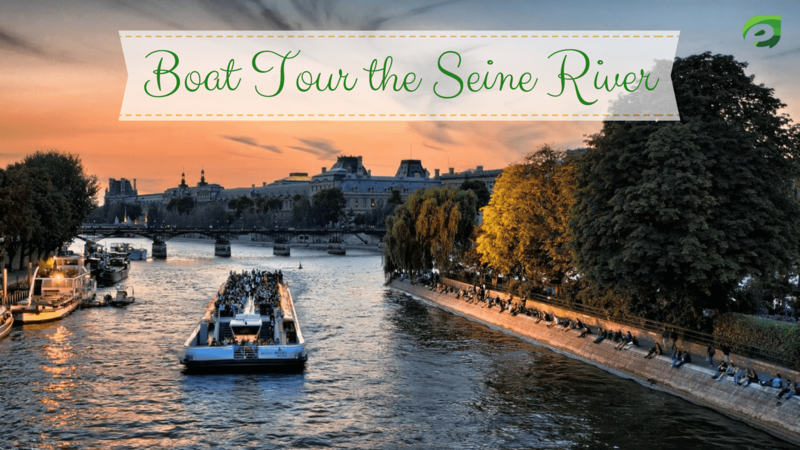 Why don’t you try to go for a boat to the Seine River? That way you can see all the beautiful sights in Paris while traveling through the calm waters of this beautiful river. 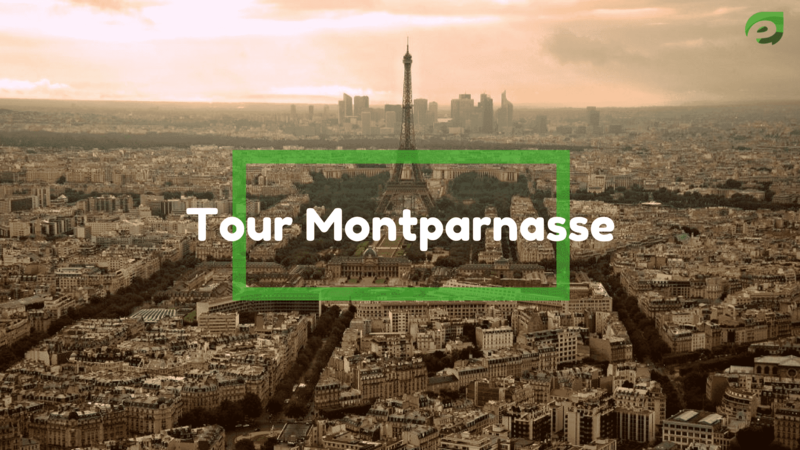 This huge and 212 meters high skyscraper known as Tour Montparnasse is the office building visible from all over Paris. At the time of its completion (in 1972) it was the highest office building in Europe. The elevator takes you to the 59th floor, and after some more steps, you get to the spacious roof from where you can admire spectacular views all over Paris. 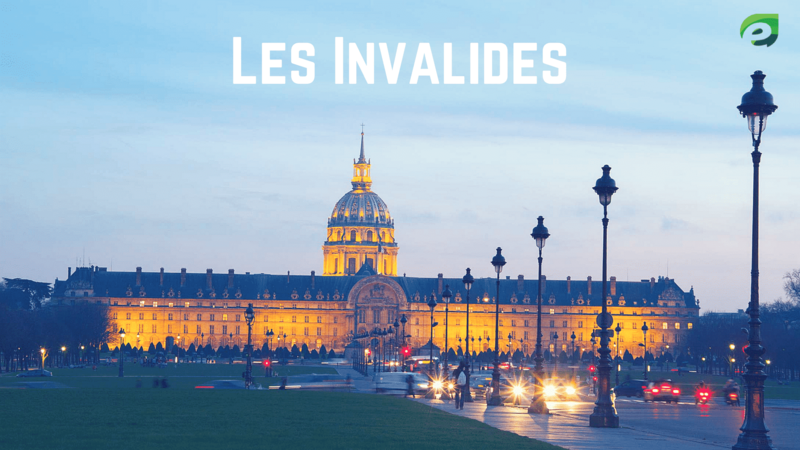 Les Invalides was built in 1670 at the order of Louis XIV for his veterans. 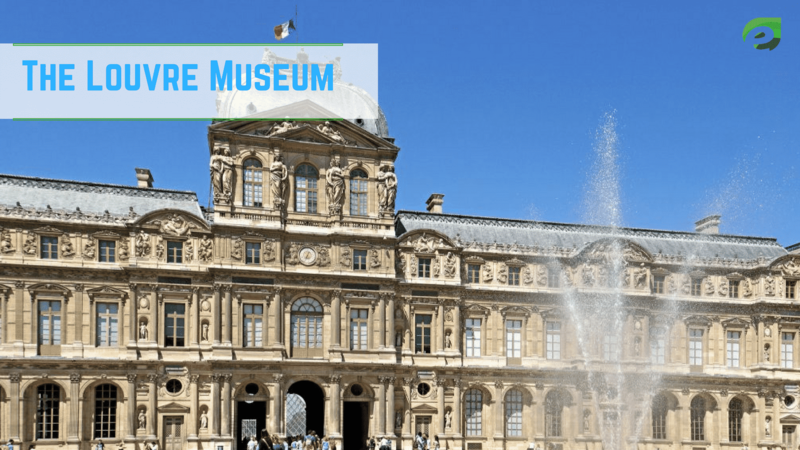 The building now houses the military museum, but if you are not a weapons enthusiast then you may go through the tree-lined promenade to the Seine river. Germany has also the best places to visit. Let’s have a tour. The main landmark of Les Invalides is not this building itself, but it is the Dome of Les Invalides. During the sunny day, it is its golden roof that shines in the middle of Paris when you look at it from above. And it is right here where is the tomb of Napoleon. 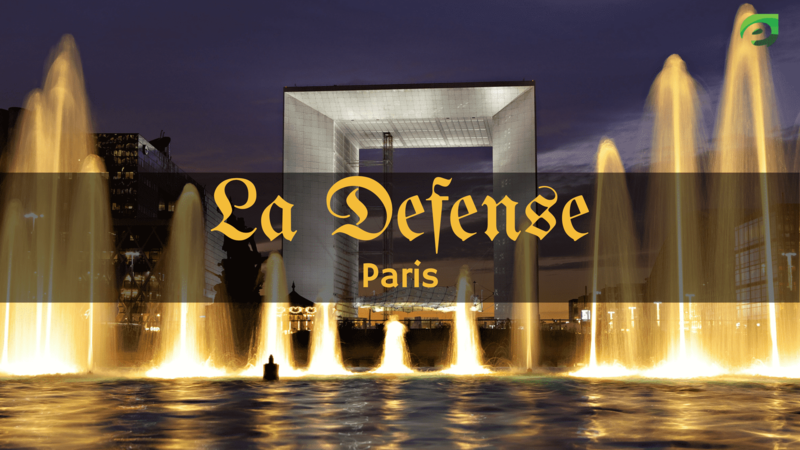 Although I am not a big fan of new architecture and glass buildings, La Defénse is among the must-sees places of most of the travelers to Paris. La Defénse is the business district on the western outskirts of the city, which is the largest administrative center in Europe. It is the largest square in Paris covering an area of 8 ha. Until the mid-18th century, there was a swamp only, however now this square is one of the most beautiful historic squares in all of Europe. Here you can see 23 meters-tall obelisk which is 3300 years old. The two monumental fountains which are in the middle of the square are among of the most beautiful fountains in Paris. The impressive Gothic tower dates back to 1523. 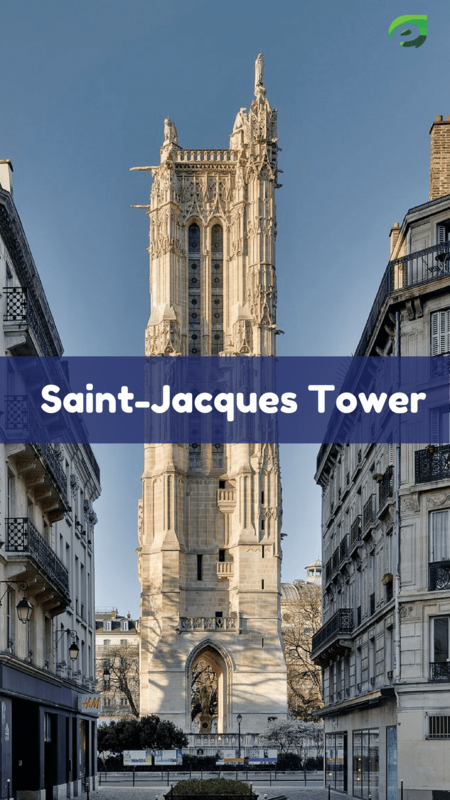 Saint-Jacques Tower was a part of the church that used to stand in this place but was completely destroyed in 1797 by revolutionaries. 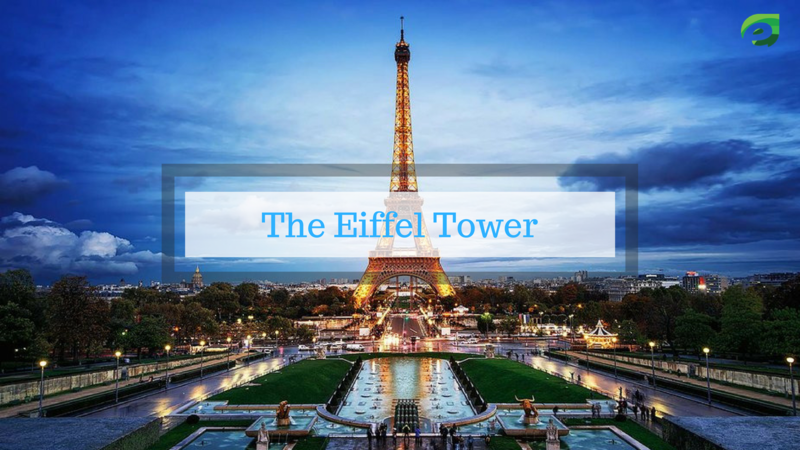 The tower is 52 meters high and is one of the major landmarks of Paris. Since 1998, the tower is included on the UNESCO World Heritage List. 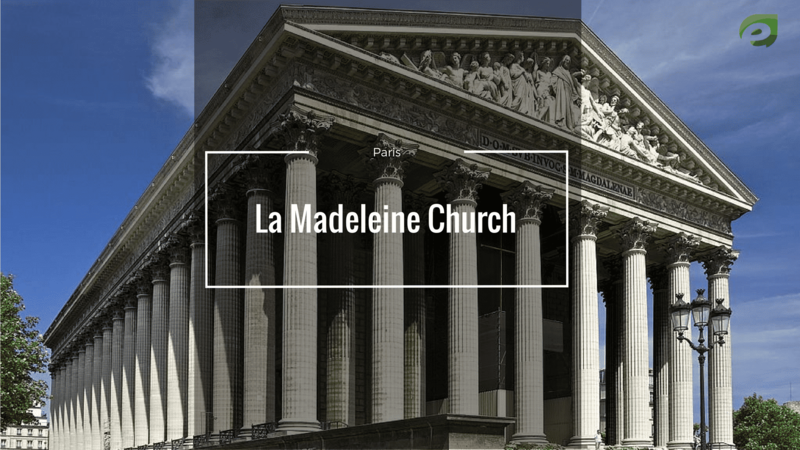 La Madeleine Church is a massive building that was built in the style of a Greek temple. 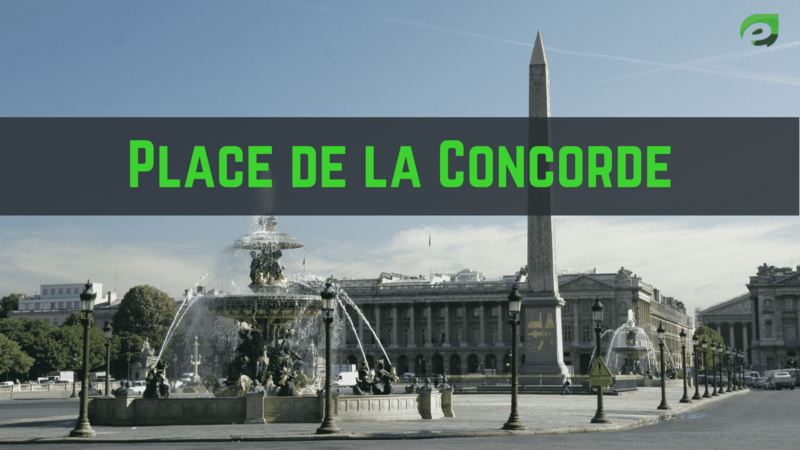 It is surrounded by 52 columns and can be found near Place de la Concorde. Its construction started already in the 12th century but was not completed until 1842 during the reign of Napoleon. The magnificent edifice dedicated to the art of ballet stands at the end of Avenue de L’opera and dominates the square of the eponymous name. 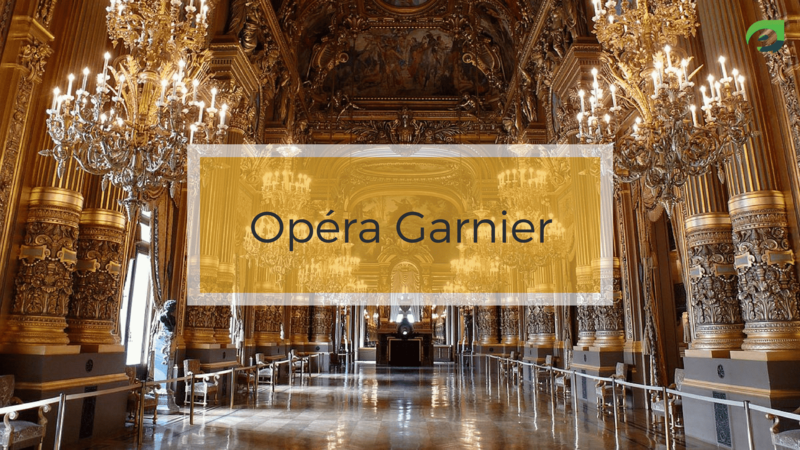 Gilded sculptures on the roof of the Opéa Garnier will dazzle you with their beauty on a bright day as well as the night when the Opera House is richly illuminated. 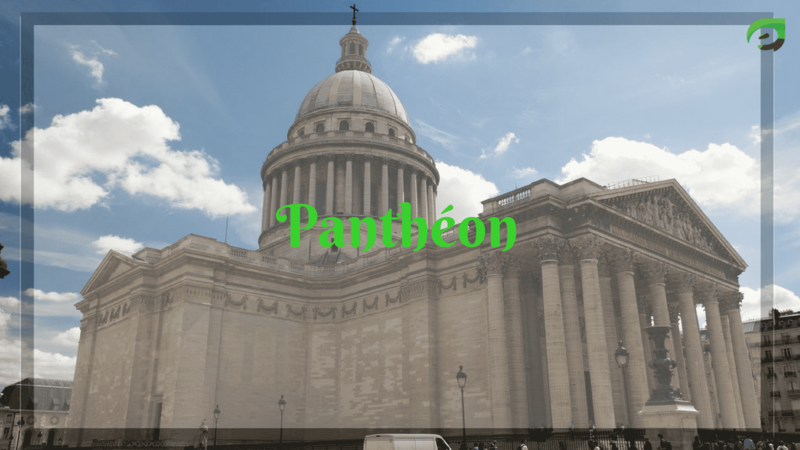 Located on the left bank of the Seine river, Panthéon captivates you with its spectacular dome seen from all parts of Paris. It was built by Louis XV. in honor of St. Genevieve as an expression of happiness on his recovery from a serious illness. Completed in 1790 Panthéon first served as a church, now as mausoleum; houses the graves of important French people (eg. Voltaire, Jean-Jacques Rousseau, Alexander Dumas, Emil Zola and others). 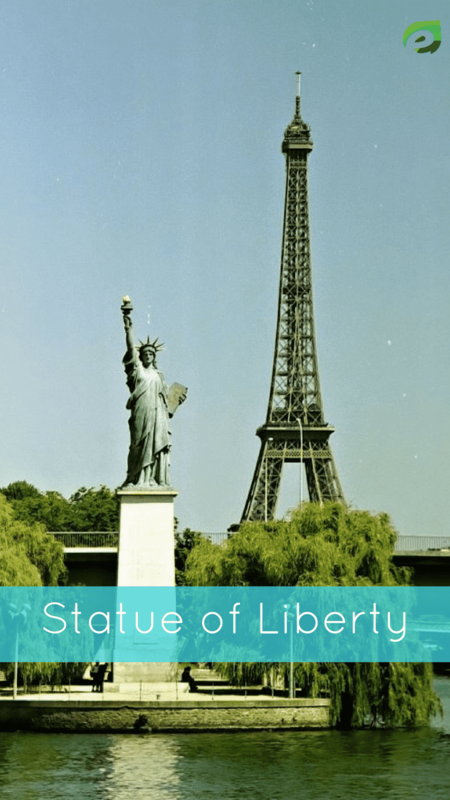 Did you know that Paris also has its own Statue of Liberty? It is not so big as the one in New York but it can be interesting to see the Statue of Liberty together with Eiffel Tower, what do you think? The statue is located on the island of Cygnes in the southwestern part of Paris. Apart from The Louvre Museum, one must visit also the Musée d’Orsay in order to see another collection of classical artworks which will definitely take your breath away. At night time, the museum is highlighted by lights which will definitely be hard not to watch. Who can imagine Paris without the Eiffel Tower? This is an attraction in Paris that already recorded around 220 million visitors. Watch it glow with different colors of light during the night time and see why it is considered as a place to see when visiting the city of Paris. Large garden with numerous ponds, fountains, beautiful statues and exotic trees invites you to rest, relax and recharge your mind. 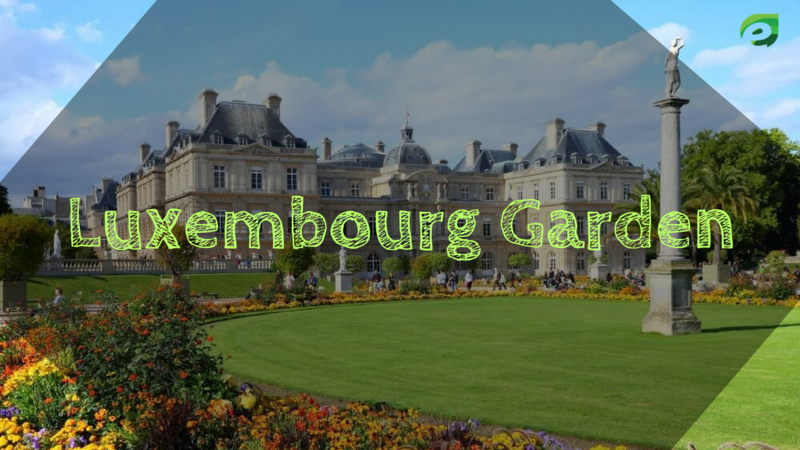 With a view of the magnificent Luxembourg Palace, there is no better place to do so. Get a chance to visit Canada to cherish the beauty there. The former royal residence was built in 1617, now houses the French Senate. 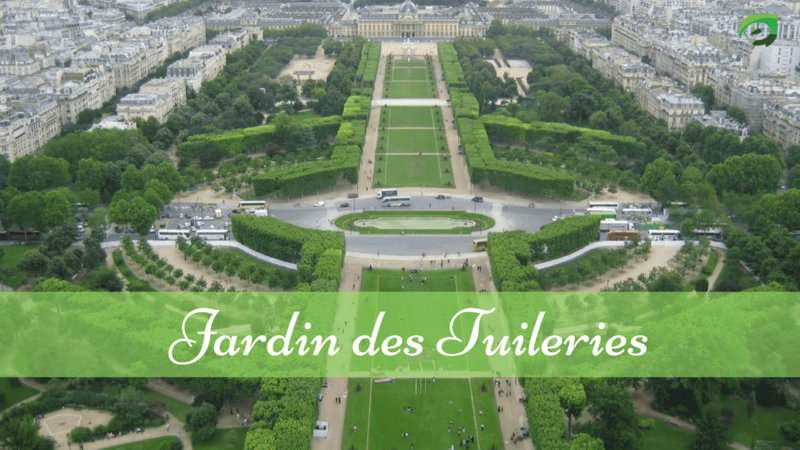 Jardin des Tuileries is the beautiful garden located in the 1st arrondissement of Paris. Quietness and greenery are the beauty of this place. This Garden was created by Catherine de Medici in 1564. 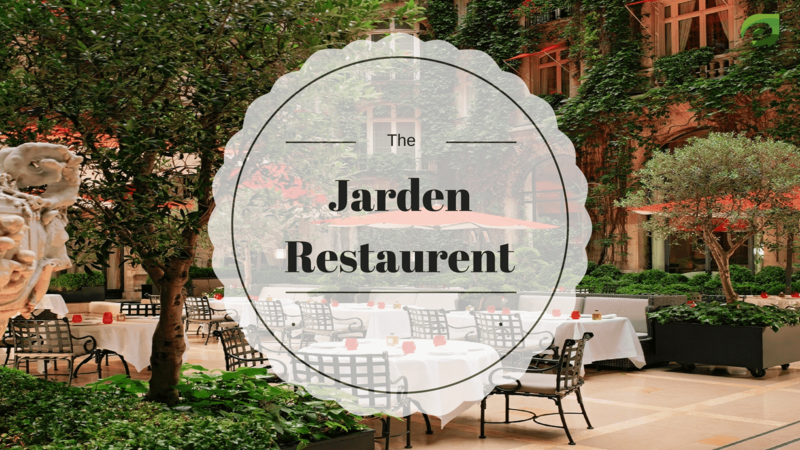 La Cour Jardin is the Wonderful and Peaceful place for lunch and dinner. The area of this Hotel is amazing in the middle of the Paris. The food menu includes all type of foods for both vegetarian and Non- Vegetarians. This place is best for a tourist visit. If you want to see eye-catching architectures do visit Louvre Pyramid. It is made up of beautiful large glass and metal. It was designed by Chinese- American architects I.M Pei in 1989 so that’s why we also called it IM Pei’s Pyramid. The Big Pyramid is surrounded by three smaller pyramids. The large pyramid is located in front of the Louvre Museum. In the 6th arrondissement of Paris, Cobbled Streets has its own beauty. The best thing is walking neighborhoods, countless cafes. restaurants, art galleries, boutiques and other antique shops like Museums. This is a kind of market everything is available from Old antiques to New ones. The Hotels of this place are famous. 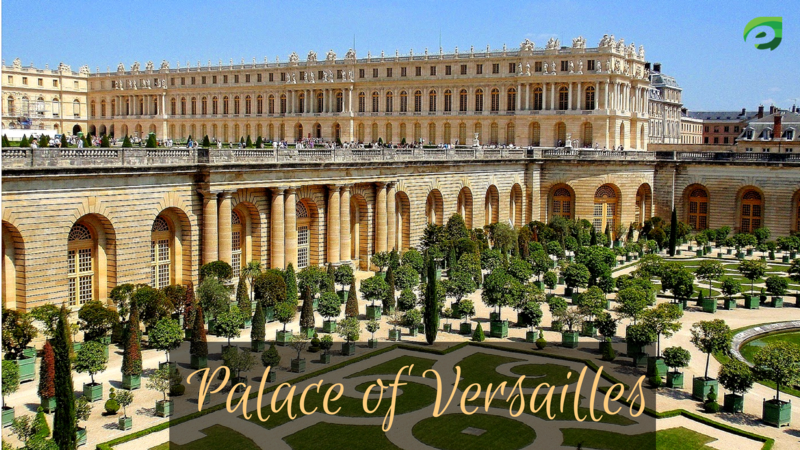 Palace of Versailles or Simply Versailles it was first built by Louis XIII in 1623. The first part was designed in 1661- 1678 by the architect Louis Le Vau. The Gardens of Versailles enhances its beauty. This place represents the culture of France. The Conciergerie is a building in Paris, France, located to the west of Paris. Formerly a prison but presently used mostly for law courts. It was part of the former royal palace which consisted of the Conciergerie, Palais of Justice and the Sainte-Chapelle. Hundreds of prisoners during the French Revolution were taken from the Conciergerie to be executed by guillotine at a number of locations around Paris. This place is also known as Musee Picasso. This place is located in Barcelona houses one of the most extensive collections of artworks by the 20th-century Spanish artist Pablo Picasso. With 4,251 works exhibited by the painter, the museum has one of the most complete permanent collections of works. It opened to the public on 9 March 1963, becoming the first museum dedicated to Picasso’s work and the only one created during the artist’s life. It has since been declared a museum of national interest by the Government of Catalonia. The Grevin Museum or Musée Grévin now contains some 450 characters arranged in scenes from the history of France and modern life, including a panorama of French history from Charlemagne to Napoleon III, bloody scenes of the French Revolution, movie stars, and international figures such as Albert Einstein, Mahatma Gandhi, Shah Rukh Khan, and Pope John Paul II. The tableau of Charlotte Corday murdering Jean-Paul Marat includes the actual knife and bathtub used. An architectural mixture of late Gothic and early Renaissance, Château de Chenonceau, and its gardens are open to the public. Other than the Royal Palace of Versailles, it is the most visited château in France. The Chateau is 79.96 meters long and 31.11 meters wide at the entrance, and 11.83 meters wide at the gallery on the bridge. The château has been classified as a Monument Historique since 1840 by the French Ministry of Culture. Today, Chenonceau is a major tourist attraction and in 2007 received around 800,000 visitors. Aquarium de Paris – Cinéaqua is located in place of the old Trocadero Aquarium which was built for the Exposition Universelle (Paris World’s Fair) of 1878. Back then, this aquarium was the largest in Europe. It was closed in 1985 for security reasons. L’Aquarium de Paris opened in May 2006. We offer our visitors the opportunity to travel through the French coasts and overseas.We have a gallery of more than 10,000 fish and invertebrates and our stars include 25 sharks of 4 different species! Discover the largest tank in France with its 3 million liters of water. The Place des Vosges originally Place Royale, is the oldest planned square in Paris and one of the finest in the city. It is located in the Marais district, and it straddles the dividing line between the 3rd and 4th arrondissements of Paris. It was a fashionable and expensive square to live in during the 17th and 18th centuries, and one of the central reasons Le Marais became so fashionable for the Parisian nobility. The original house, which burned down in 1915, was co-founded in 1889 by Charles Zidler and Joseph Oller, who also owned the Paris Olympia. Close to Montmartre in the Paris district of Pigalle on Boulevard de Clichy in the 18th arrondissement, it is marked by the red windmill on its roof. The closest métro station is Blanche. Today, the Moulin Rouge is a tourist attraction, offering musical dance entertainment for visitors from around the world. The club’s decor still contains much of the romance of France. Le Marais is a historic district in Paris, France. Long the aristocratic district of Paris, it hosts many outstanding buildings of historic and architectural importance. It spreads across parts of the 3rd and 4th arrondissements in Paris. The Catacombs of Paris are underground ossuaries in Paris, France, which hold the remains of more than six million people in a small part of the ancient Mines of Paris tunnel network. The Grand Palais, is a large historic site, exhibition hall and museum complex located at the Champs-Élysées in the 8th arrondissement of Paris, France. Construction of the Grand Palais began in 1897 following the demolition of the Palace of Industry as part of the preparation works for the Universal Exposition of 1900, which also included the creation of the adjacent Petit Palais and Pont Alexandre III. 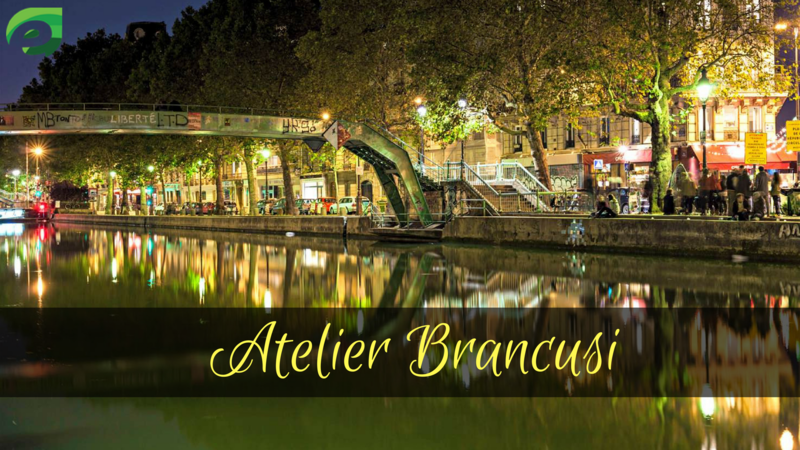 Atelier Brancusi is a beautiful place at night, the beauty of this place is the reflection of shops on the canal. Night walk feels amazing at this place. If you are planning your trip to Paris, I hope you will enjoy these 35 Amazing places to visit in Paris. Get to the Best places to visit in Turkey which is undoubtedly a beautiful place to be visited. Tell us about your visit in the comments.